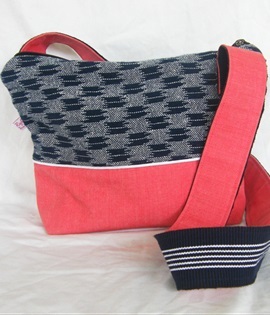 Create your own one-off shoulder bag with Heleen Webb. In this two-part workshop, you become the designer by adjusting the pattern to your own requirements. Learn how to insert zips, piping, inner pockets and how to make a strap. This workshop runs in two 2-hour blocks: 9am – 11am (Part 1) and 2pm – 4pm (Part 2), giving you a break in between to talk sewing with your fellow makers! Suitable for those with experience using a sewing machine. If you have a rotary cutter, quilting ruler and self-healing cutting mat, you might want to bring it along.